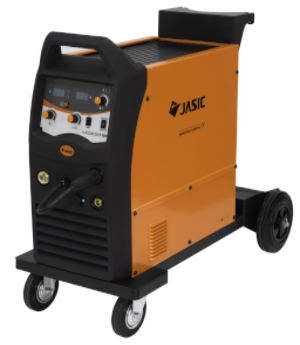 The Jasic MIG 160 is a stick & MIG inverter in one! 230V input supply with a current range from 30-160amps it's a portable machine weighing only 12.5kgs. A 1ph MIG/MMA machine with 4roll WFU providing a rugged performance. 230V 30-270amps @30% Digital amp/volt meter c/w MIG torch, trolley, 5mtr interconnecting cable, gas regulator, work return lead and clamp. 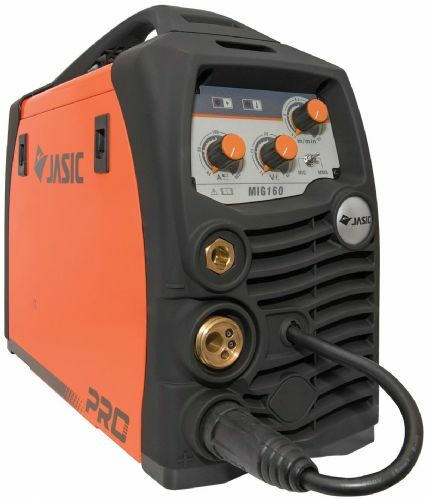 The Jasic MIG 252 Compact is a multi function inverter capable of MMA MIG gasless and flux cored welding. This dual voltage (110/230) MMA/TIG HF power source has many features and a duty cycle of 60% at 200amps-TIG and 100% at 150amps MMA.